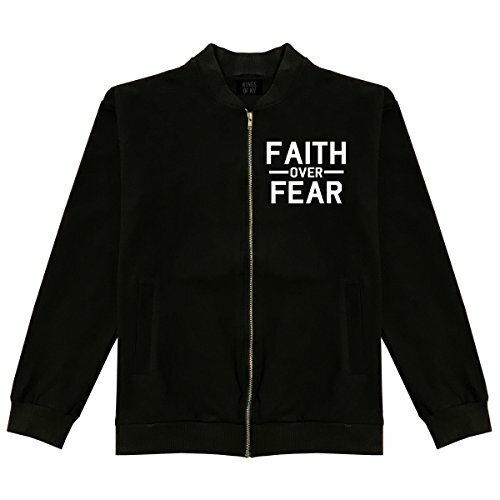 This is our Faith Over Fear Mens Black Bomber Jacket. This classic lightweight zip up bomber jacket is made of 100% cotton. All our products are made by our brand KINGS OF NY. Lightweight Cotton Black Bomber Jacket Made of 100% Cotton.